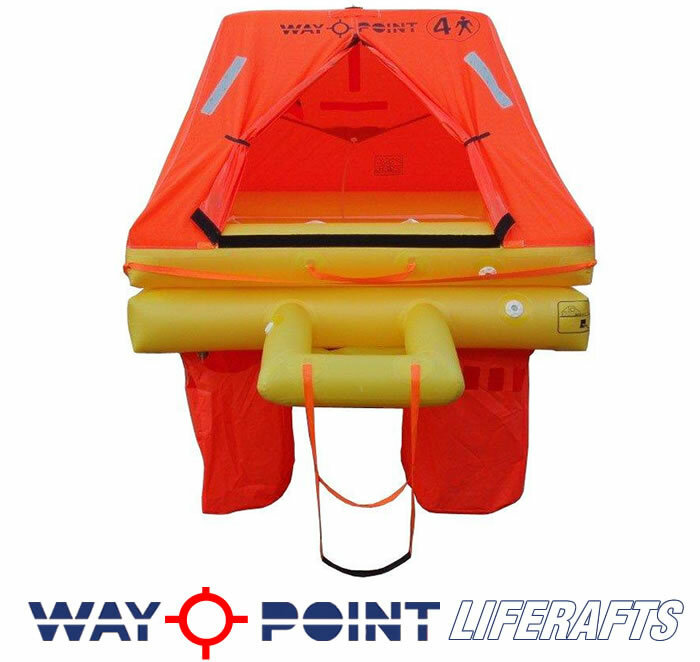 The range of Waypoint Liferafts, from the Waypoint Coastal to the ISO 9650-1 Ocean, have been designed for maximum safety. There are four models to choose from, Coastal, Offshore, ISO 9650-1 Commercial / Charter and ISO 9650-1 Ocean. 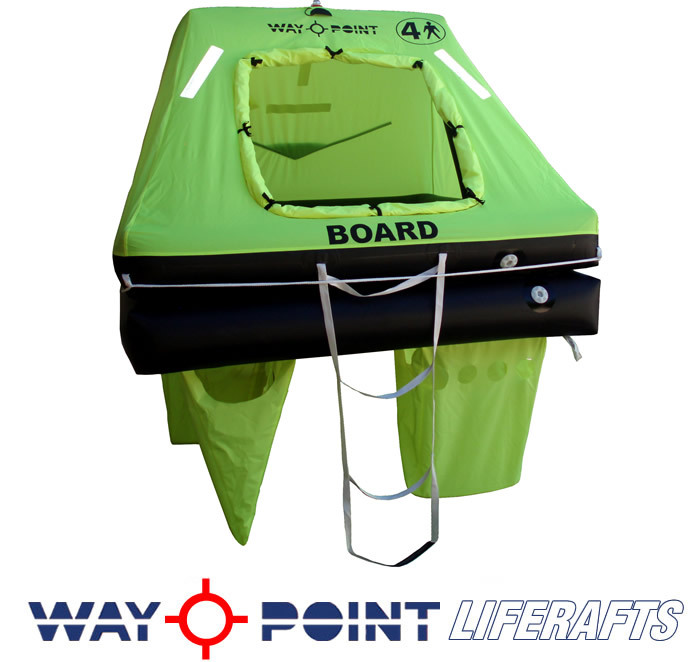 Waypoint Liferafts are suitable for all aspects of yachting, whether cruising or racing, fishing and other commercial vessels whose liferaft requirements are covered by the ISO 9650-1 standard. 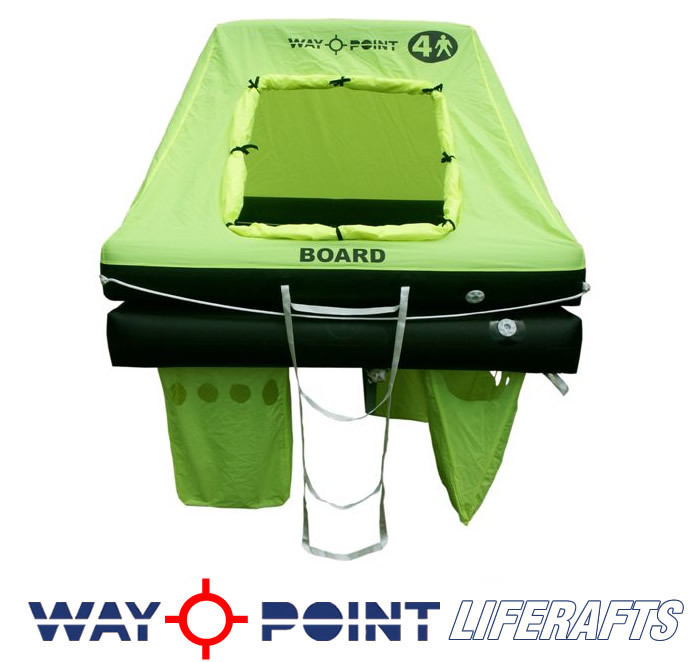 Waypoint Liferafts start from the 4 man Coastal and go all the way to the 14 man ISO 9650-1 liferaft. Strict Quality control with additional features and the use of the best known quality parts and materials across our range gives them significant advantages. All of our liferafts are comprehensively tested. 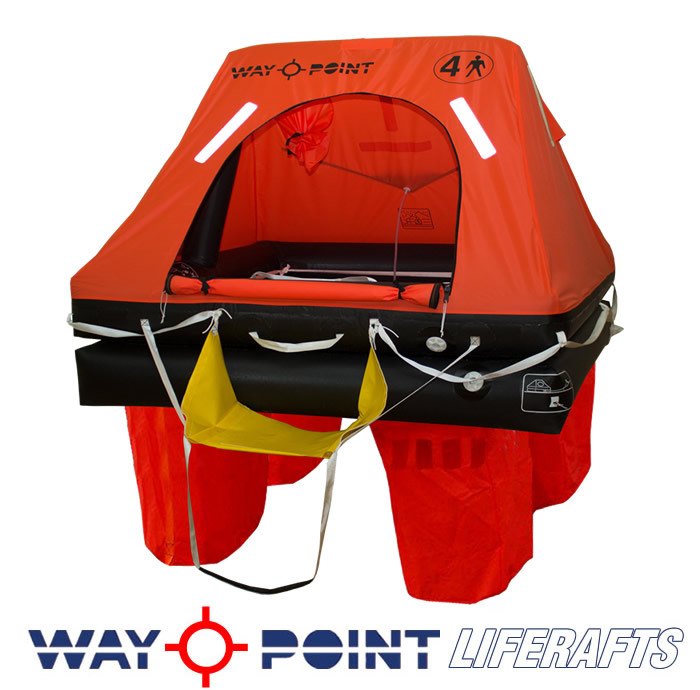 We have a development program which ensures that our liferafts remain at the forefront of modern safety technology. We constantly improve our liferafts and if you are in the market for a Coastal, an Offshore, or an ISO 9650-1 liferaft, please read carefully about the features and the other technical aspects that separate Waypoint Liferafts from the rest of the liferafts on the market today..
• Built in our own factory in Europe. • Highest quality fabric, HT nylon coated with PU, made in the U.K. (Almost indefinite life ) complies with the ISO 9650-3 directive for fabric. • SOLAS / MED/ MCA approved inflation system, made in the U.K.
• Super Lightweight construction, from 18 kg for a 4 man coastal in a valise. • Packed and equipped shortly before dispatch, in our U.K. facility, offering to the end user a full 3 years use before servicing. • We offer a 12 year limited guarantee* on all of our models and the service interval is every 3 years. *Servicing must be carried out every three years at an approved Waypoint service station for the guarantee to remain valid.